The best sparkling wines in the world are made using what is known as the traditional, or classic, method. It’s a method of sparkling wine production that requires a secondary fermentation in bottle. In 1936, Champagne became the first designated wine region in the world that was specifically created around this method (or, as the French called it, Méthode Champenoise). There are now, of course, many wines that are produced this way, such as Crémant, Cava, Franciacorta and many California sparkling wines. But, it took nearly 60 years—until 1993—for the world to recognize a second designated region for wines produced using the traditional method; and that was Trento D.O.C., located in the small, mountainous region of Trentino, Italy. 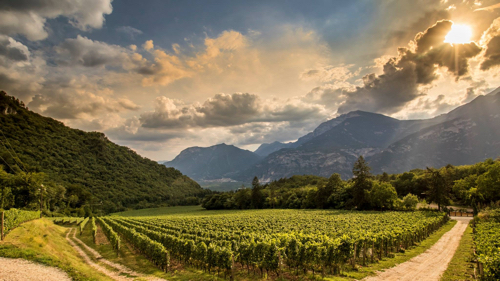 Out of the 41 producers that currently make wine in Trento, none are more important and central to this wine region than Ferrari Trento. 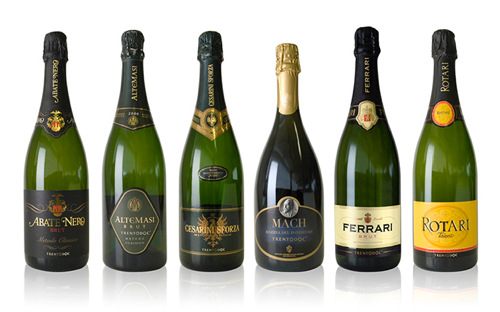 Simply put, Ferrari pioneered sparkling wine production in Trentino, and to this day, remain one of the premier sparkling wine producers in all of Italy. 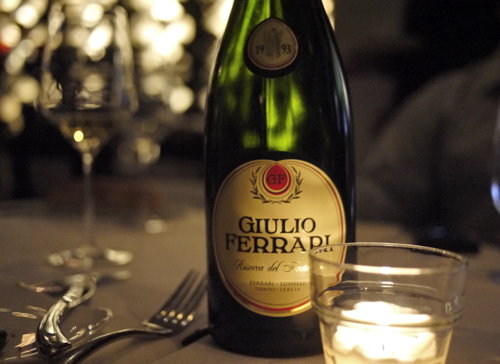 In the early 20th century, Ferrari’s founder Giulio Ferrari recognized the potential for producing world class sparkling wines in this area, and created the foundation of what would eventually become the Trento way. He also became the first in Italy to put significant effort into growing and producing Chardonnay, of which over 90% of Ferrari’s wines are made with today. In 1952 Giulio sold his business to Bruno Lunelli, the owner of a wine shop in Trento, who expanded the vision and reach of the company in the coming years. The winery has stayed with the Lunelli’s ever since, now managed by the third generation of the family. Oh, and they also have a Michelin-stared restaurant in the middle of their estate vineyard. I was first introduced to Ferrari a few years ago at an event in Boston with Matteo Lunelli, one of the winery’s current generation of managing partners. The wines were impressive; from their entry level Ferrari Brut ($25) to their Perlé Rosé ($65) and beyond, I was taken by the incredible quality and uniqueness they showed. But the one wine that really wowed me, that made me understand the true brilliance of Ferrari, was their pinnacle wine, Giulio Ferrari Riserva del Fondatore. I fell in love with that wine. Which is why when I was given the opportunity last week to taste not only the current vintage of Giulio Ferrari, but also two other stellar vintages of the wine from 1993 and 1999, I couldn’t resist. 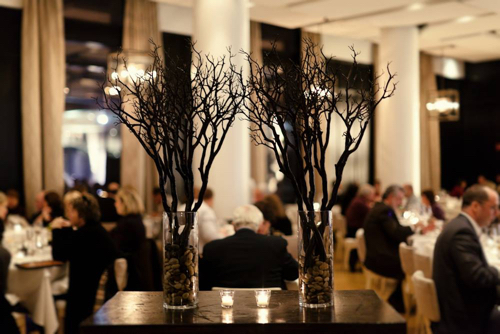 The tasting took place at Boston’s iconic Sorellina restaurant, where we were joined by Marcello Lunelli, Matteo’s cousin, for a four-course wine dinner. The evening began the way any good wine dinner in New England should begin: with bubbles and oysters on the half shell. Or, in this case, Ferrari Brut Rosé NV ($36) and raw oysters with a Meyer lemon ice. Fresh, bright; a perfect start to the meal. Next, we were onto an elegant trio—a beautifully composed beat salad, grilled octopus and a mouth-watering raw tuna with mustarde aioli and chili vinegar. This was served with Ferrari’s newest wine label: Ferrari Riserva Lunelli 2006 ($56). Riserva Lunelli was the big surprise wine of the night for me. I knew I was going to love the Giulio’s but this modestly priced (relatively speaking) sparkling wine blew me away. It’s a Blanc de Blanc, aged in large Austrian oak casks and matured for seven years on the lees. The wine has layers of smoke, bread, crushed rocks, apple and pear, clove, and lemon curd. It’s creamy, absolutely delicious, and needs to be in your glass right now. Seriously, it’s only $50… for a ridiculously good sparkling wine. Go buy it and thank me later. Or thank Marcello (he made the wine). After the Riserva Lunelli, we were presented with a rich and earthy fettuccine with exotic mushroom and truffle butter along with the Giulio Ferrari 1993. But we’ll just refer to this as the “mic drop” course. This wine is a Lunelli masterpiece—still young and fresh even after 20 years in. It was the clear fan favorite of the evening. Bright, fragrant fruit intertwined with deep layers of earth and minerals, tart citrus, pine nuts, cedar… a symphony of flavors that could send your senses into overdrive for the rest of the night. If I had $400 to spend on sparkling wine, I would buy this Giulio in a heartbeat. Unfortunately, I don’t have $400 to spend on sparkling wine (or any wine for that matter), so I’m going to need you to buy this wine and invite me over for dinner. Okay? It was hard to come down after the ’93. 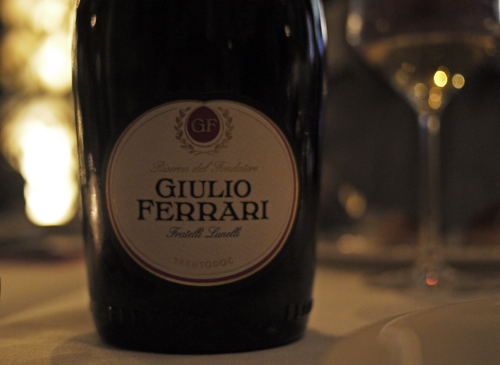 But if you have to come down from a sparkling wine high like the Giulio Ferrari 1993, the ’99 and 2001 vintage Giulio Ferrari’s are the way to do it. These wines are nothing short of world class. All of them. Different from one another, yes. The ’99 and ’01 had more fruit, more brightness, more stark minerality, not as many layers of depth. But they both shined in their own right. And they showed that Trento can go toe-to-toe with Champagne when it comes to quality and age-ability. Or, at the very least, these wines can. Marcello mentioned that the family still has about 50 bottles left from the very first vintage of the wine, Giulio Ferrari 1972. From what I was tasting, and what Marcello was saying, the ’93 could easily go another 20 years, if not longer. The ’99 and 2001 were both tasting incredibly fresh and vivid for wines that were 16 and 14 years on in their journey. These wines were built to last. I don’t expect I’ll get to try one of the 50 remaining bottles of Giulio Ferrari 1972, but tasting this vertical was a treat. I can only hope that I’ll get the opportunity to taste some of these wines as they have progressed even further. But, in the meantime, go try these wines! These Trento sparkling wines are the real deal, and I know you’ll enjoy them as much as I have. Thanks to Marcello Lunelli for the fantastic hospitality and stories; to Sorellina for the delicious meal; and to Kate at Gregory White PR for arranging the evening. Cheers!